(EN) When we think of food photography, certain images may come to mind: be it nicely arranged plates, matching kitchen towels or bowls of any kind—buddha, yoga, breakfast. (EN) We’ve been turning our lenses (and phone cameras) at food through the countless foodie Instagram accounts, and their aesthetic have created a culture of self-reference. 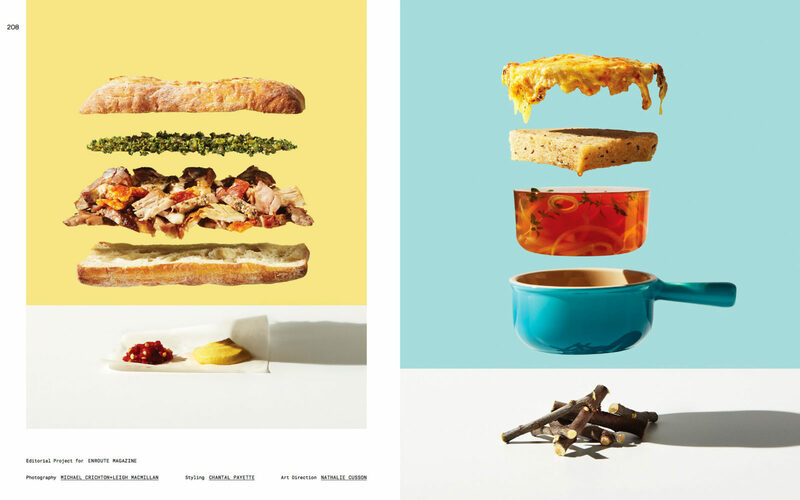 The book Visual Feast reminds us that cakes, fish and even noodles can be put into totally different scenarios, and that staging food combines the efforts of food photographers, designers and stylists. (EN) Take, for example, New York-based food photographer Claudia Ficca and stylist Davide Luciano, who create hyper-realistic pastel universes that are certainly more interesting than the snore-inducing brunch shots that flood Instagram every Sunday. The book takes us on a visual exploration of food through myriad colors and contexts: sculptures out of marzipan, dinner tables underwater or even wearable food. From Maurizio Cattelan and Pierpaolo Ferrari’s technicolor over-the-top recipe shots to The Gourmand’s desire to explore the narrative potential of food, each page offers another, even though not always tasty, take on a new era of food photography and styling. (EN) If you want to continue reading, find out more about Visual Feast at Gestalten. Hungry for more food? Check out our FvF Cooks series.